Jose is a founding partner of Central Women’s Health Care and serves on the Board of Directors. He has provided women’s health services for the City of San Antonio Metropolitan Health District since 1990. Jose continued his medical education at the Universidad Autónoma de Ciudad Juárez, Escuela de Medicina, where he earned his medical degree. He completed his internship and residency in Obstetrics and Gynecology at Hurley Medical Centers in Michigan. 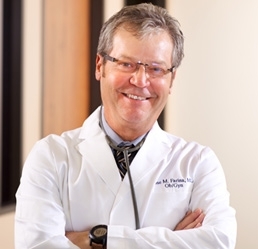 Dr. Farina is board-certified in Obstetrics and Gynecology. He teaches at UT Health Science Center and also instructs other physicians in robotic surgical techniques. Jose was born in Cuba, is married and has two children. He likes to hunt, fish and read.